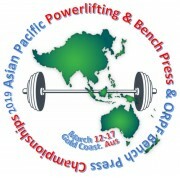 I have accepted my nomination to compete in the Asia Pacific Classic Bench Press Championships - Open 93kgs division. Previously I was a junior competitor, but now that I am 24 have to move up to the Open division. For those of you who aren’t followers of Powerlifting in Australia, this d..
Smith Cable Racks (SCR) – a Smith Machine, Half Rack and Functional Trainer combined into one compact unit – have grown in popularity in recent years. 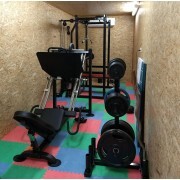 They offer an incredible amount of exercise variety in an extremely compact space. In my opinion this was the downfall of the early designs. Having ..
Drop Sets are for POSERS! What I am talking about is the type of guy who drives to a nightclub, so he could take a pair of dumbbells in the boot of his car. Just like a leaking tire he must keep pumping to maintain his size. Don’t be this guy! I know there a lot of you out there, so I know I have got your attention. Listen ..
Big thanks to Mike for sending in a pic of his truly unique gym. Although it is not the first, they are still great to see, a cool home gym set up in a 40ft shipping container. With these gyms, length is not the issue, it is how you manage the space width wise. The internal width of a s.. Whether you are new to weight training, or have been lifting for years, the range and variety of weight plates has exploded over the recent years. As an experienced trainer myself, making the right choice for plates is daunting. Plus, the affordability of premium styles has improved dramatically, ma.. Recently I participated in the Campbelltown Open 2 which was held in Adonis Athletics Campbelltown. I was gutted with my performance. To put it simply, I did not meet the expectations that I set for myself. As part of the healing process, I thought I would sift through the bones and work o.. 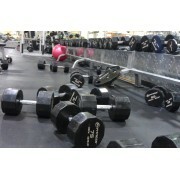 When some people buy a power rack, they often only have two exercises in mind – bench press and squats. However, a power rack offers much more versatility than you originally thought it would. I will try to list a few exercises in this article and how to perform them correctly. Let’s start with the .. I have been busted by the Form Police! Just recently I’ve posted a video update of my training progress. While the weight might seem impressive for some of you (190kgs). The form wasn’t. I completely understand why I received the critique. My glutes lost contact with the bench, so the lift would hav..
Powerlifting If cheesecake, lifting heavy weights and no cardio sounds like a dream to you then maybe Powerlifting might be the strength sport you have been looking for. We don’t need to starve ourselves like bodybuilders! Although that doesn’t mean all powerlifters are fat. ..
I’ve heard that if you want to bench more you have to bench more often. That is partly true. If you want to have bigger bench press you will have to perform different variations of it. Close grip, medium grip, wide grip and even flat, incline or decline. That’s a lot of pressing!Close grip bench pre..